Thanks to the usual Central Florida fall weather, Walt Disney World Resort guests are still making summer memories filled with sunny skies and aggressive temperatures. 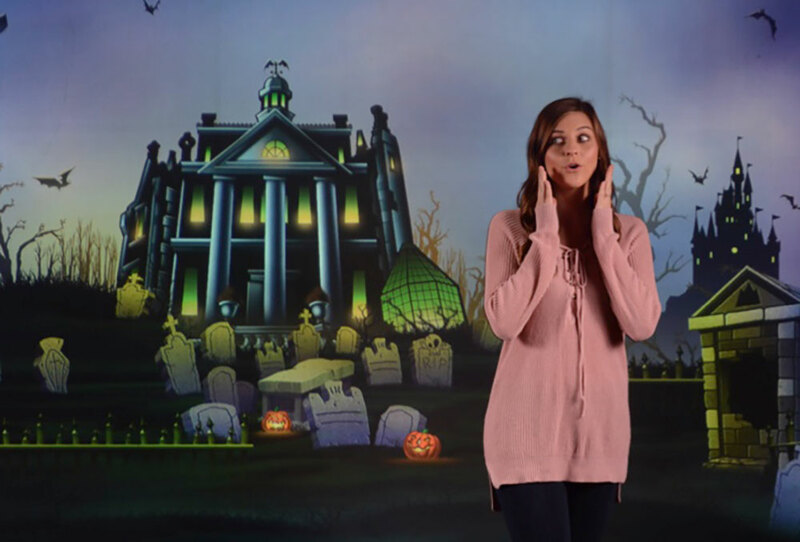 For those who would like to add a little autumn to their albums, the Disney PhotoPass Studio in Disney Springs is offering visitors seasonal virtual backdrops focusing on fall and its associated holiday, Halloween. 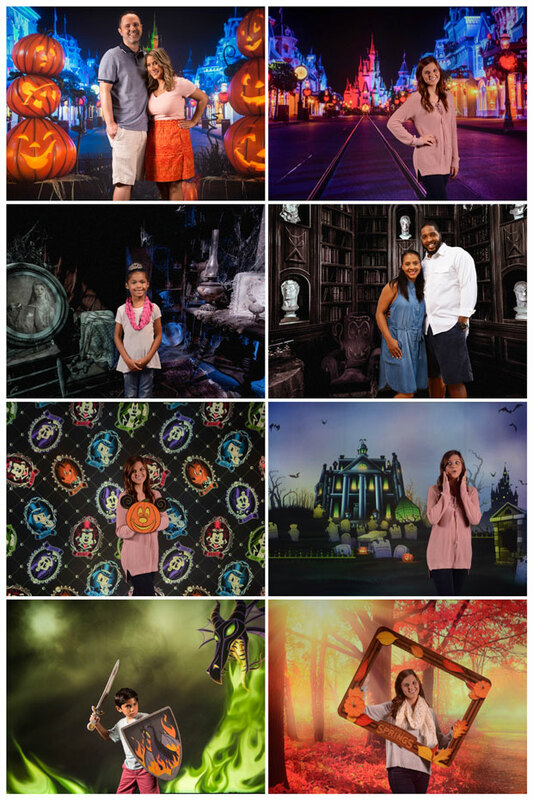 While the PhotoPass Studio — located in the Disney Springs Marketplace area — offers virtual backdrops for guests’ picture-taking needs year round, these seasonal backgrounds are for a limited time only. The images can be downloaded using Memory Maker, and a Memory Maker One Day purchase can be made for $69 through the My Disney Experience App. 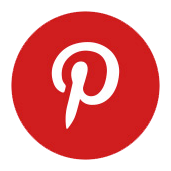 Individual photos may also be downloaded for $16.95 each at MyDisneyPhotoPass.com.